Working with Todd for our wedding was an enjoyable experience from the beginning till the end. We chose Todd not only because we found his work to be artistically beautiful, but also because of his kind and calming personality. We wanted to work with a photographer who could truly capture our personalities on our wedding day. Todd did just that. We felt extremely comfortable with him and were able to be completely ourselves in front of the camera. Thank you Todd!! 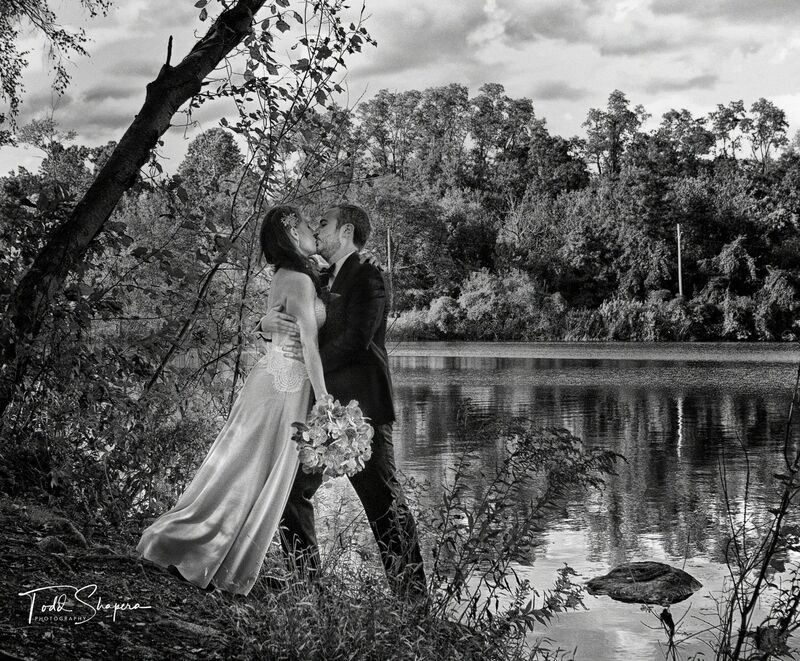 Last night, I first saw the attached black and white picture of Jamie & Matt having their "first look" at the pond in Tarrytown before exchanging their wedding vows. My daughter is simply beautiful, elegant, glorious & gorgeous, majestic and stunning, and Matt is her dashing, handsome and loving grand knight in shining armor....and you captured it all for their lifetime of memories . This picture recalls an 18th century Royal Bride & Broom in all their regalia and splendor, magically interpreted, converted and transported by you into the 21st Century...truly an amazing artistic accomplishment. My maternal grandfather was a "perfectionist" professional photographer and he would be so proud to see this incredible picture of his great-granddaughter and her soon to be husband. Todd, in this bride's father's humble opinion, this single photograph could have been an oil painting made by one of the great artists of the Victorian era. But it is your artistic genius that created this without the aid of a brush, oils or a canvas . You documented their special wedding day, and very special moment, by brilliantly capturing Jamie & Matt's feelings of love and devotion to each other with magnificent art. Mazel Tov to you on this masterpiece and thank you for all your creative, outstanding work. P.S. A million thanks to Ed Steinberg of Abigail Kirsch for introducing us. 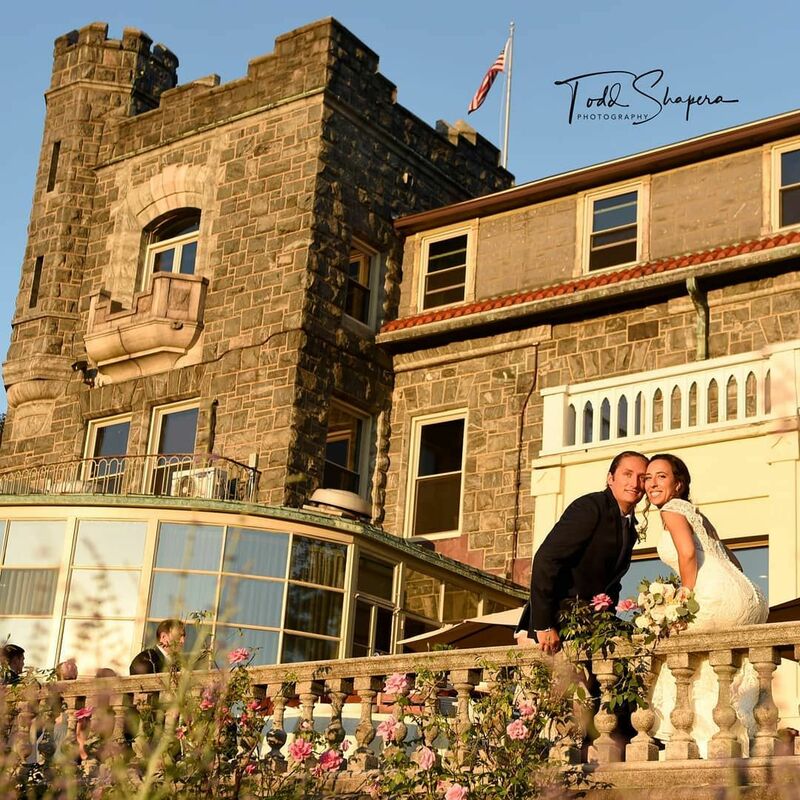 We are so happy that we hired Todd Shapera for our September 2018 wedding. Todd was so fun to work with, he kept our whole wedding party smiling the entire time. 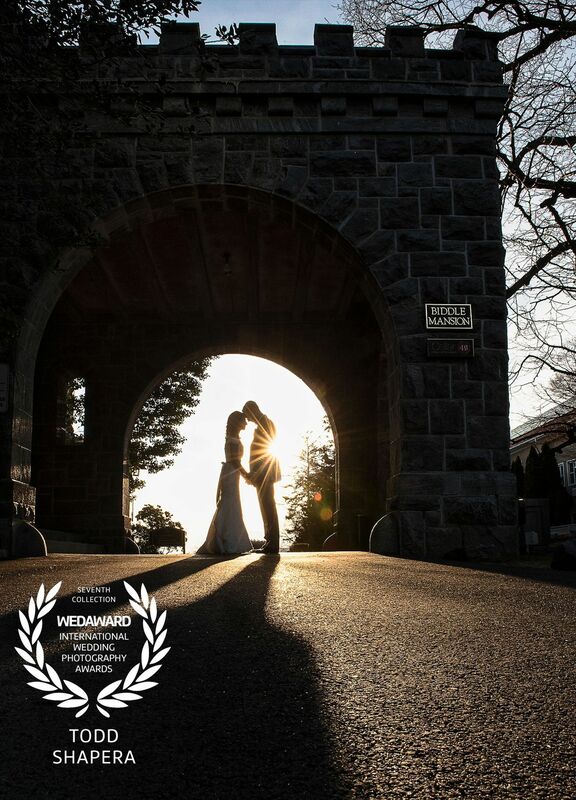 Todd has a great eye for composing breathtaking and romantic shots. In addition, Todd captured so many fantastic candid moments throughout the day that I felt like I was reliving our wedding through the photos. We highly recommend Todd to anyone looking for an amazing photographer. Todd Shapera, and his phototography and videography crew, are beyond masterful, in every imaginable way possible! They are unobtrusive, respectful, courteous, efficient, and aim to get the storytelling job done right, the first, and only, time. 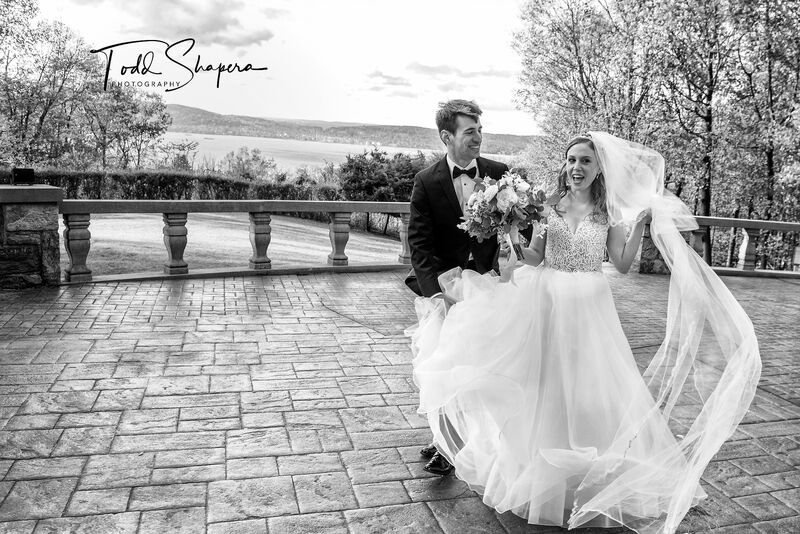 A consummate professional in every way, we would definitely recommend Todd Shapera Photography without hesitation. He's the absolute ultimate, as well as a calming influence on an otherwise most hectic day in one's life! We contracted for a certain number of photos, and he delivered almost 3x that number.....amazing!!! We are so glad we chose Todd as our wedding photographer. It has been over a month since our wedding, and we (and our guests!) can’t stop raving about how fantastic Todd was and how amazing all of our photos are! We are so grateful that a close family friend (who used Todd for both of her sons’ bar mitzvahs) recommended him to us. From when we first met with Todd, it was clear he would be easy to work with, and he absolutely was. Todd was very respectful and sensitive to our wishes and those of our family, and knew just the right time to suggest or not suggest an idea. 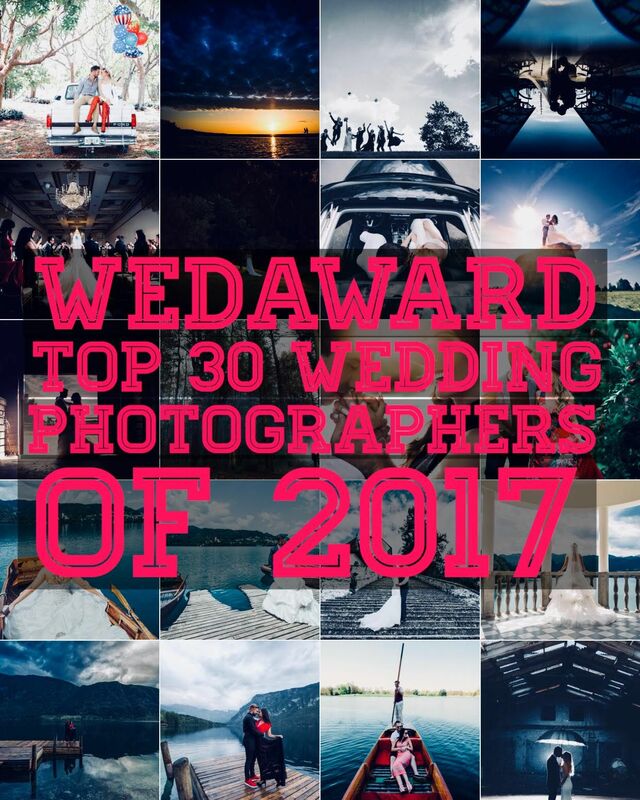 We are so pleased with the beautiful and creative photo ideas he presented to us, which have turned out to be fantastic – several of which have won Todd international Wedawards for outstanding wedding photography! His talent and passion for what he does is evident as he seamlessly photographed our whole day, including running outside our Rolls Royce after our ceremony to capture a moment and suddenly climbing up on a ladder (on several occasions) in order to get the perfect impromptu shot (even late into dancing the night away). We and our family are so excited with how our wedding photos came out (and how quickly Todd returned them to us). 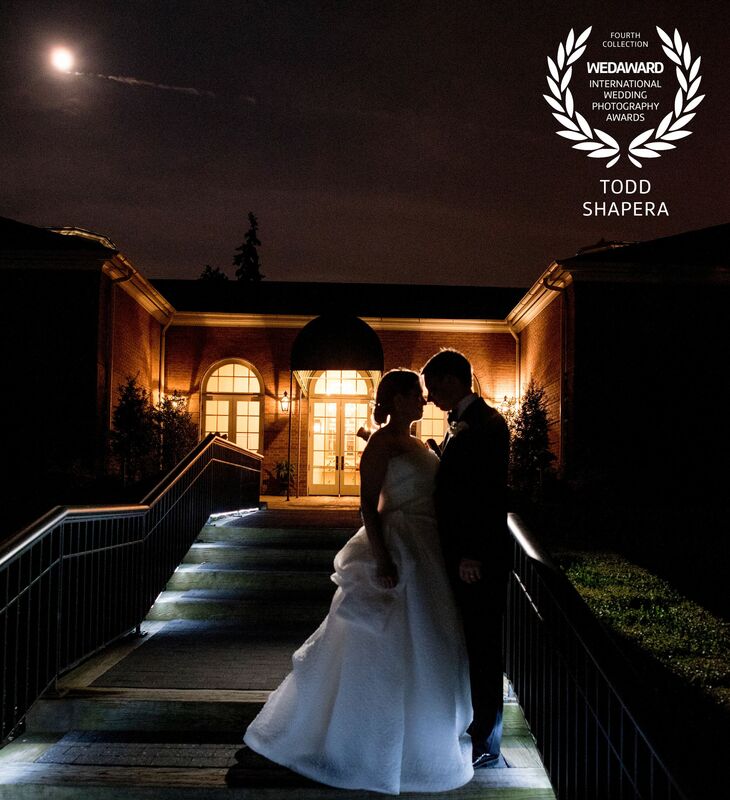 We are forever grateful to Todd to have such special memories on film forever, and we are confident that anyone who hires Todd will surely feel it was one of the best decisions they make in planning their wedding or other special event! Todd was amazing to work with. We met with him before the wedding and fell in love with his photos and storytelling take on photography, which was exactly what we wanted for our wedding - the photos to tell the story of the day. He was brilliant on the day of the wedding - especially when the weather was less than ideal (pouring all day!) - and he worked with the venue to arrange a way to still get all the shots that we wanted - we really wanted nature in the background and had been planning for an outdoor wedding. He captured everything so beautifully. We loved working with Todd and are SO happy with the photos from our wedding! I've included a few below as an example of his incredible work. We would highly recommend him. Todd was one of the very best decisions we made during our wedding planning. Photography was my highest priority on our wedding day checklist and Todd did nothing but impress. He was able to professionally and artistically capture our love story so much so that the photos transport me back to one of the happiest days thus far in my life. He also skillfully arranged my large blended family for all the photos that each family member wanted from the day. Additionally, his instincts and experience knew when to move on or when to stay shooting seamlessly throughout our wedding day without the need for verbal communication. I can’t thank him enough for everything he did for us on that day, as well as planning before the wedding and sending our edited images to us after the wedding quickly. We cherish our wedding photos so so much. I highly recommend that anyone reading this hires Todd for their special day. My husband and I absolutely adore Todd! 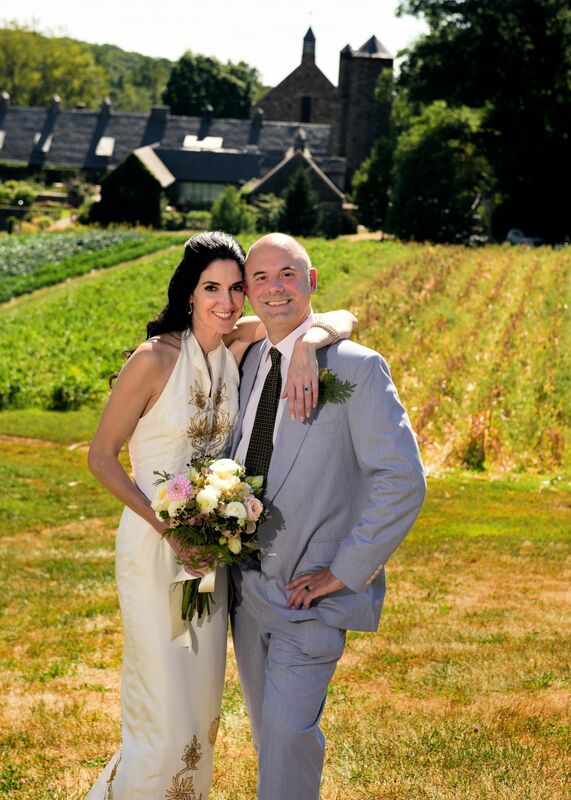 From the very first stages of planning our wedding, Todd was extremely communicative, flexible, and responsive. Todd is clearly very passionate about what he does, and this came through both in his interaction with us and with the final product. 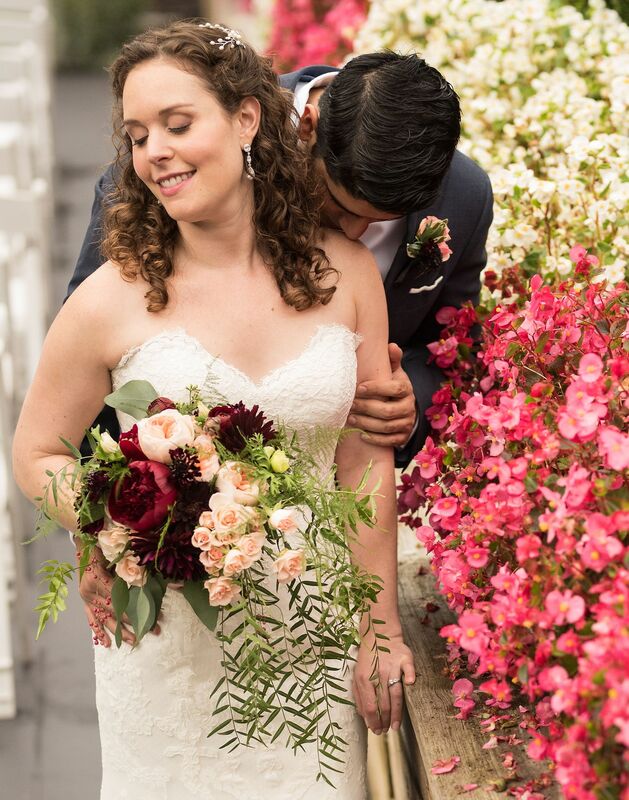 My husband and I are so happy with our wedding photos, and could not have asked for a better photographer!! Todd photographed two Bar Mitzvahs for us over the past two years. He was personable, professional, and we were thrilled with the results! He and his team captured the joy on everyone's faces and the fun that everyone was having at the party. They were a pleasure to work with. Todd is an absolute pleasure to work with--friendly, and full of creative ideas. He takes stunning photographs. My family has been working with him for over a decade to capture our most important moments. He photographed my Bat Mitzvah years and years ago, as well as my sister's, and most recently, he photographed my wedding! 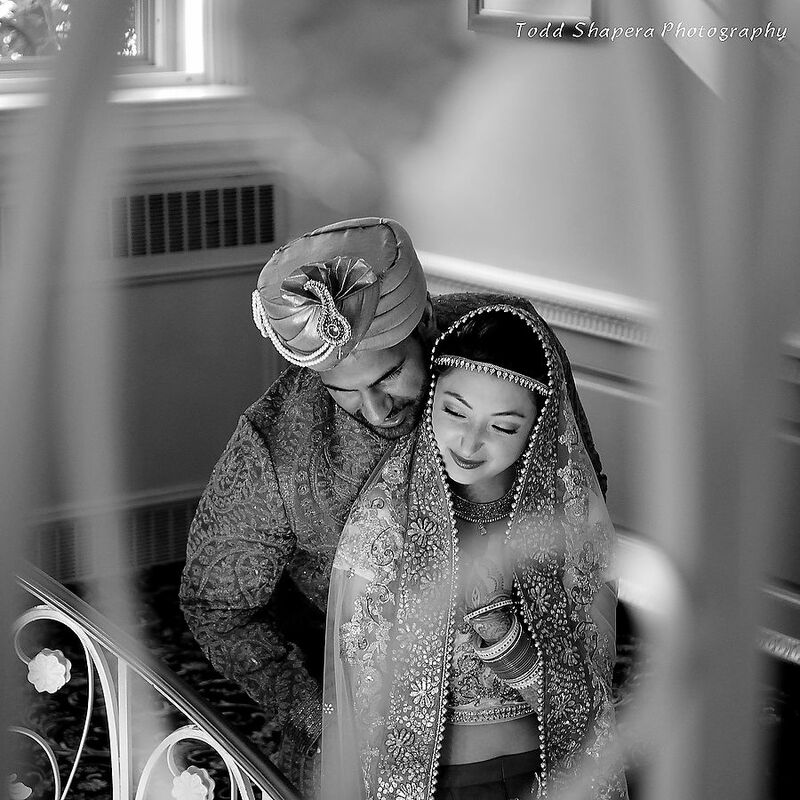 It was a long day with two ceremonies--one Hindu, one Jewish--as well as a reception; beginning to end, he captured everything exquisitely. I can't wait to work with him again! 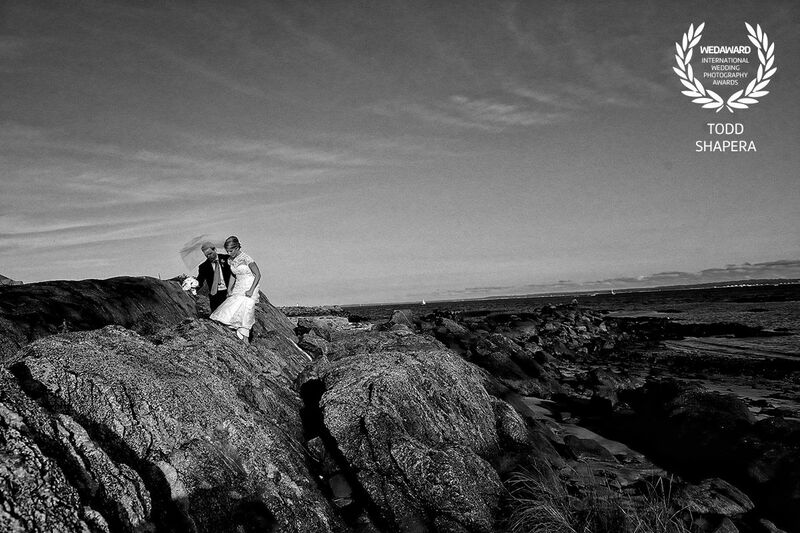 Todd was an absolutely amazing photographer for our wedding and pleasure to work with. He made the trip down to my parents house before the wedding (where the bridesmaids and I were getting ready) and spent his time there making sure he photographed everything that was important to me. At the venue itself, his photography was absolutely stunning and unique, despite the fact that he has photographed that venue countless times before. Additionally, he was extremely efficient during the wedding; he managed everyone participating in the bridal party photos extremely well so that the process was not long and painful. During the event, we hardly noticed he was there as he captured all of the important moments without being intrusive. Overall, he was very easy to work with and was always available to answer any questions we had. 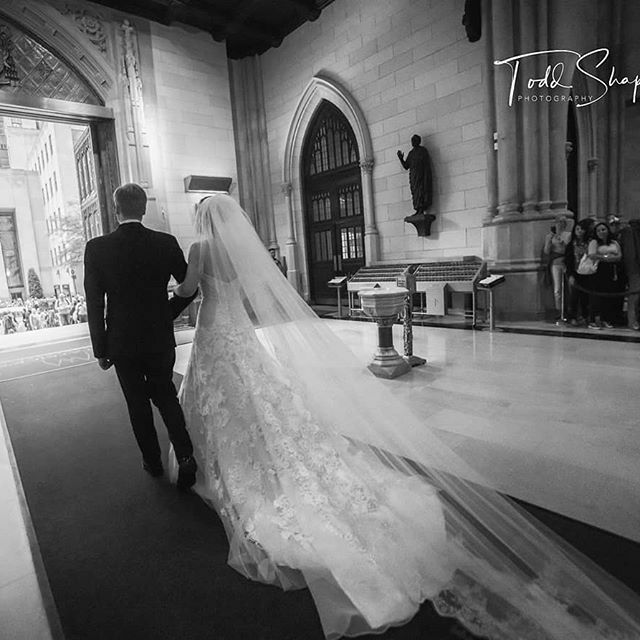 If you are looking for an excellent photographer whose pictures will capture the beauty and essence of your wedding for years to come, Todd is the perfect choice. Todd is an exceptional photographer! His artistic eye allowed him to capture beautiful moments from our wedding in a unique way. He was patient with us and strived to make our day as stress- free as possible while coordinating relatives and friends so that we could get all the shots we desired. He promptly responded to e-mails and phone calls leading up to the event so that we could seamlessly plan our day. I would highly recommend him for your wedding! You will not be disappointed! Todd Shapera is a wonderful photographer in every sense of the word. He was wonderful to work with, always called back if we had a question, was funny and very personable, had great compositional ideas, and captured our daughter's wedding to a tee. From the getting ready pictures, the first look, the ceremony, etc. 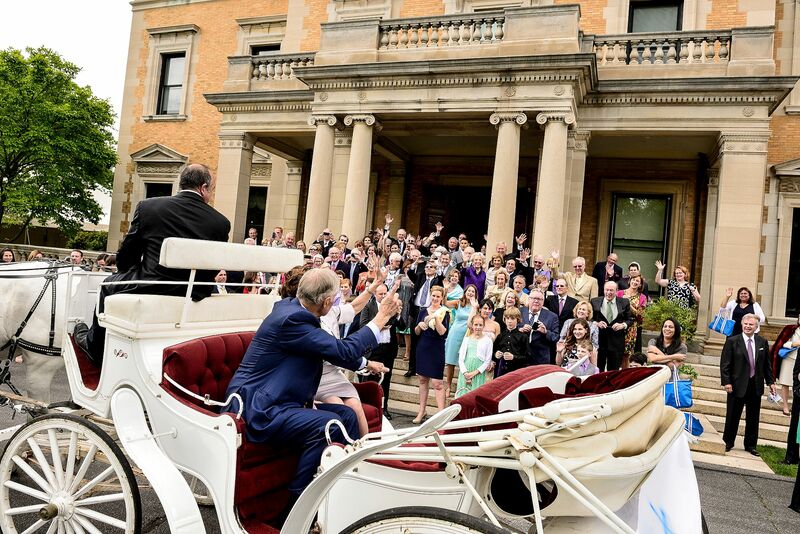 until the very end, Todd captured the joy, excitement, love and spirit of my daughter's wedding. 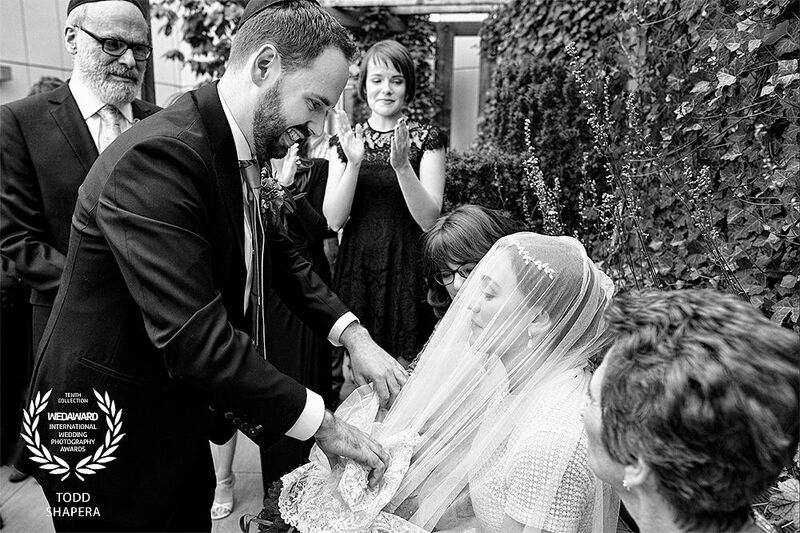 His pictures told the story of the wedding in such a beautiful way. We couldn't have asked for a better photographer to work with. His assistant and videographer were, needless to say, wonderful as well. Todd and his assistant Emma were amazing. They were always there at the right moment to capture all the most important shots, and they turned the formal portrait sessions into super fun photo shoots. Less than three weeks after the wedding, Todd gave us a USB stick with 1200 edited digital images from the wedding. They were organized into "chapters" so that they are easy to sort through, and I can always find what I'm looking for pretty quickly. To say that the images came out beautifully is an understatement. Scrolling through the photos, I find myself transported back to the emotional high of my wedding day. 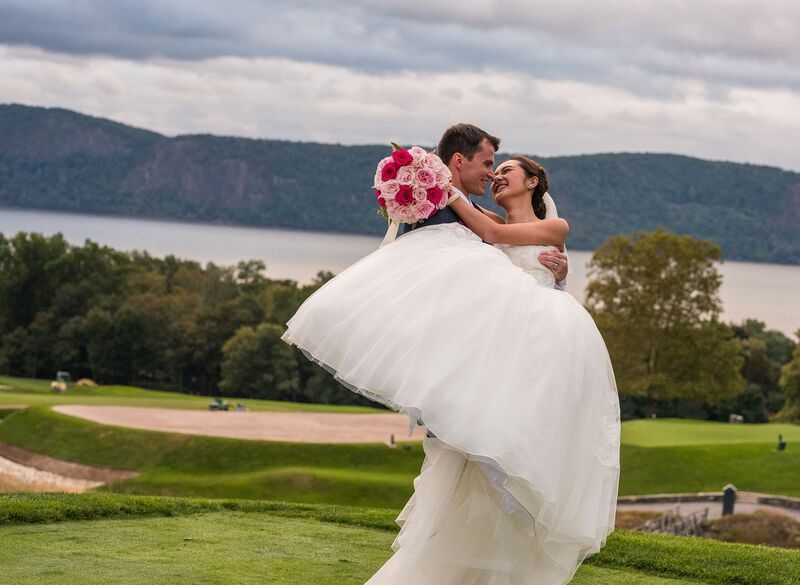 Plus, with his background in photojournalism, Todd produced striking, unexpected images that are a far cry from the cliche snapshots you get with a lot of wedding photographers. Besides doing an amazing job with the photography, Todd was professional, respectful, responsive and all around a pleasure to work with. I would recommend him unconditionally for anyone who is looking for a wedding photographer. Todd was amazing to work with. He spoke to us before the wedding to get to know us and he captured every detail of out special day. He is truly and artist and goes above and beyond! He captured both the traditional wedding pictures but also unique and creative photos. We couldn't be happier! You won't be disappointed with Todd! Todd was wonderful and went above and beyond to get special beautiful and unique photos. He really listened to what I wanted during the ceremony and reception, and had some brilliant ideas about locations and lighting for photos. I was able to enjoy my wedding and didn't feel as though someone was always taking pictures of me. I would highly recommend Todd. Todd was a pleasure to work with. He was very easy going and flexible and was not one of those "in your face photographers" but was still able to get the shots we wanted and did a terrific job. I would highly recommend Todd and we plan to use him for other upcoming celebrations. 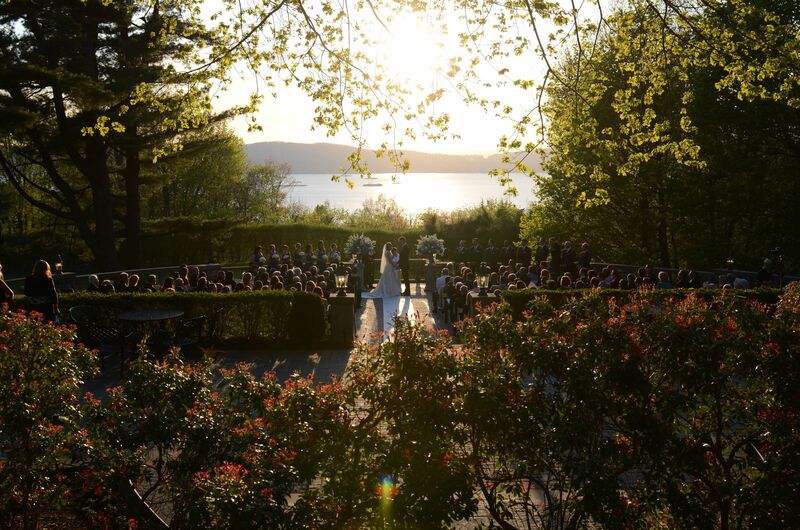 Our wedding day was amazing – from the beautiful New York Botanical Garden location, to the flowers, friends, family, sunshine etc. – it was beyond anything we could have dreamed of. We were lucky to have Todd Shapera capturing those memories for us to enjoy for years to come. Todd’s pictures are stunning and he puts his whole heart and soul into each event. His pictures highlight not only each part of the evening, but also the many wonderful personalities that were there, the spirit on the dance floor, and the joy we felt. We received our pictures quickly, and Todd took time to sit with us to go through them and highlight many he thought really captured the day. We really enjoyed such a personal touch. He also organized a photo booth that was an unqualified success – our guests loved goofing off and the team at the booth was fantastic. Todd is amazing!! From the moment we met him, he made us feel so comfortable and seemed genuinely interested in getting to know us. Our engagement photo shoot in the fall was so much fun and we loved the photos we received. 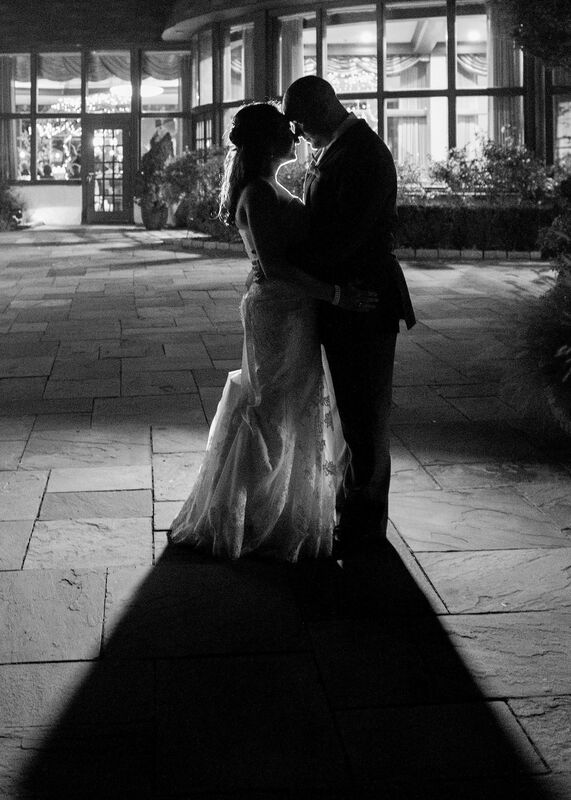 Todd has a great eye for light and movement and our wedding photos really reflect his talent. 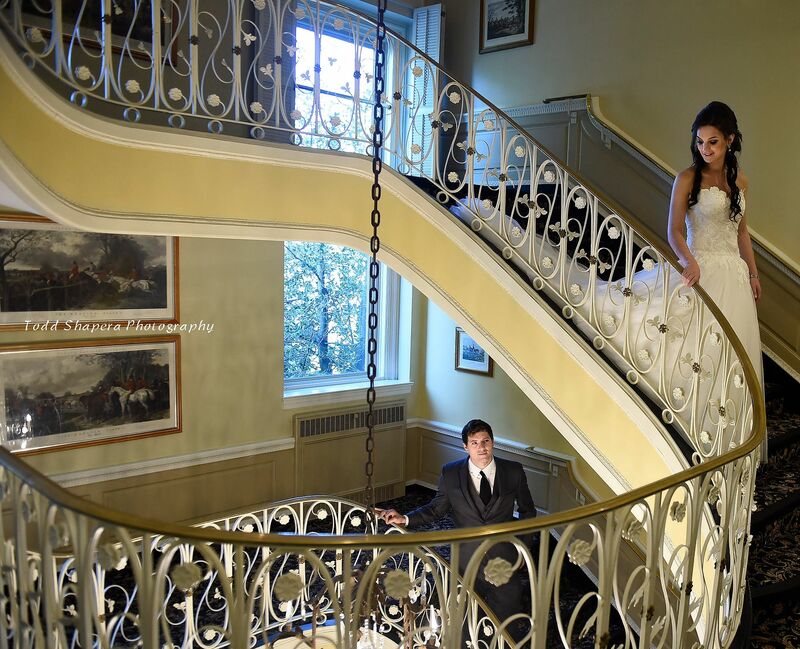 He has shot weddings at Tappan Hill before so he knew just where to position his many cameras to get the best shots. We are so glad we chose Todd to document our special day and would recommend him to anyone looking for an incredible photographer! 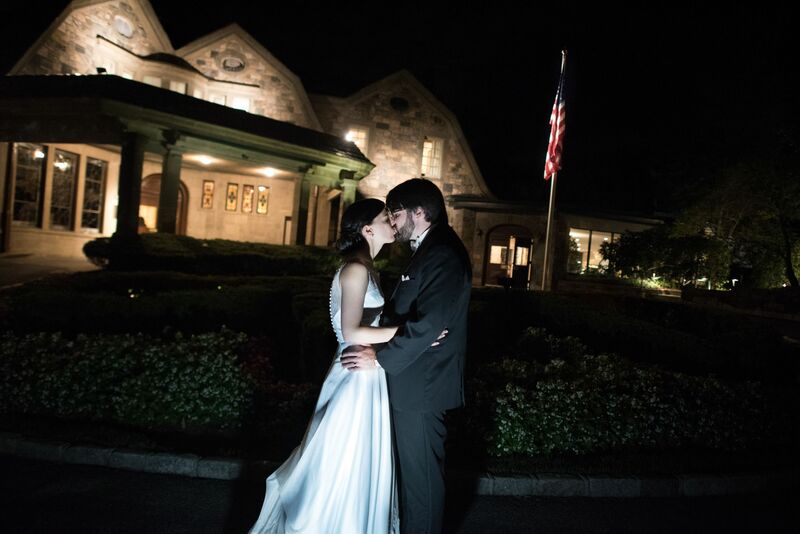 May, 2015 wedding, Tappan Hill. We are so grateful that we chose Todd Shapera Photography for our daughter's bat-mitzvah. From the moment we met with Todd, we were taken by his work. Todd is an artist and as such, he brings a creative eye to event photography. His portraits of our daughter from both before and during her bat-mtizvah were just beautiful. Furthermore, Todd is a true professional. He is communicative, responsive and flexible. He did a great job capturing the memories we shared with friends and family and we are happy to have had the opportunity to work with Todd and his team. "Dear Todd, I hope I said it last night, but in my delirium I may have forgotten!!! THANK YOU!!! You were an absolute pleasure to work with, and it was so wonderful having you for our special day! I can't imagine anyone else being as efficient, professional and fun as you! All of our family and friends (along with us) were so impressed with your style....you blended right into the crowd. I saw briefly the photos you set up at the cocktail hour and at the bar during the reception and they were stunning! Thank you for working so hard- I know you're always going going going, but you were 110% present and enthusiastic for us, and it was greatly appreciated!!! We truly can't thank you enough!!!! If we could give Todd 10 stars across the board, we would. We had the pleasure to have Todd shoot for our engagement session and wedding day, having the absolute best experience with him. Todd's technique is flawless and his ability to capture natural emotion in each picture is uncanny. He truly tells a story throughout the day with his pictures. From the first time we met Todd to the sit down to review all of our photos, it has been an amazing experience. Todd has a very calming presence about him which makes you feel comfortable on one of the most important days of your life. He has such a special talent and it is so transparent with all of the beautiful photos. We are so very lucky to have found Todd and while this review is a little sad to write since it means our engagement and wedding are over, we have the memories captured in photographs. I know we will be using Todd again in the future to capture our other life moments. Todd photographed our engagement shoot and our wedding and he was amazing for both! For our engagement session, we wanted to bring our huge and exuberant puppy to be part of it and Todd couldn't have been happier, flexible and more patient with our rambunctious pup! Neither of us had professional pictures taken before and Todd immediately made us feel comfortable and at ease. He explained what he was doing while he was doing it, but not having us do anything that we did not feel was "us." We loved our pictures and Todd even had a reel of them playing at the wedding! For our wedding, our beautiful pictures aside, people were constantly coming up to us impressed with how they noticed that Todd was on top of everything we were doing. 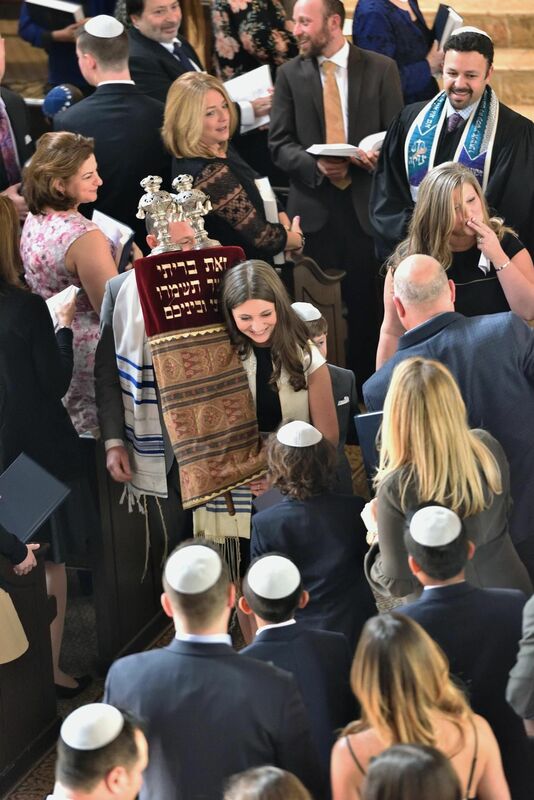 Whether it was hiding behind a bush behind the chuppah or running to the back of the ceremony to get us during the recessional, he was ALWAYS there, and never in our faces! We would love to know the magic of how he is able to pull that off, as we've been to so many weddings where the photographer has a bright light in your face or is blocking your view of the couple. Not Todd! He gets all the pictures in a completely unobtrusive manner. This was especially apparent at the end of the evening, as it was pushing 1am and our friends spontaneously made a huge circle around us while we danced. Todd made a bee-line for a step stool so that he could capture the special moment from all angles and the gorgeous pictures brought us right back to it. When our pictures arrived, it really brought us right back to the moments of the day. They were beautiful and captured everything that was important to us. He has been reliable and resourceful and we have LOVED working with him! Todd was a joy to work with. We immediately clicked with him; we enjoyed his sweet and calm manner throughout the wedding planning process and especially on the big day. He came armed with a ton of creative ideas that resulted in photos that we absolutely love! We received so much great feedback from our guests - everyone loved Todd! A photojournalist, Todd is able to capture intimate moments and frame creative shots while being completely unobtrusive. At some points, I forgot he was there but he most definitely was -- we have pictures from every minute of the wedding! Importantly, he respected that we didn't want to spend hours posing. We did a really fun pre-ceremony session that took about an hour, and about 30 minutes of family photos. From those alone, we have hundreds of amazing shots. In addition, his rates are very reasonable and you get to own the all of the prints - we have 1000 images that we can print on our own. The albums style he offers are all beautiful and we can't wait to get started on that project with him! Working with Todd is a dream. He is very considerate and he has a special eye for photography. What is more important is that Todd is very patient, caring and simply a joy to work with. I never thought a photographer could make so many people look absolutely beautiful. Todd Shapera was prompt, efficient and a pleasure to deal with. His pictures captured not just the face but so many emotions on those faces. He is an artist and not only that, he is one of the kindest people I have met in a long time. I would definitely hire him for any occasion where a photographer is needed. He is truly the BEST in his field!!!! Todd is amazing to work with and we couldn't be happier with our pictures from our wedding. He is a true professional in every sense of the word and was the most personable of all the photographers we met with. His work speaks for itself and the photos he was able to capture were better than we ever dreamed. We would highly recommend Todd for any special event and choosing to work with him will be the easiest - and best - decision you will ever make!! Todd is a magnificent photographer. He is patient, creative and it was a pleasure to work with him. His professionalism is fabulous. He immediately returns phone calls and promptly returns proofs and pictures. He genuinely cares. He takes the time to become familiar with the venue so that our pictures have beautiful backgrounds. He knows the best times to photograph outdoor pictures so that the lighting is amazing. He not only takes traditionally posed pictures, but also captures spontaneous moments of the day.One of the best parts about working with Todd is that he captured every moment of our day, but never interfered when getting a shot. He cares about what he does and it definitely shows!We highly recommend Todd Shapera to photo your event. Todd was amazing! He gave us exactly what we asked for, was great in working with our vision, and our pictures came out fabulously! He was also just generally pleasant and fun to be with and had great ideas for action shots. We had no worries about punctuality or professionalism, and there wasn't a single snag in the wedding when it came to his part! If you can get him, I highly suggest you do...ASAP!!! He's not just a wedding photographer, he's an artist! Todd's work is simply remarkable and what you capture in a photograph says so much. The photographs are stunning on every level. Todd has photographed two beautiful events for our family. Both of daughter's bat mitzvahs were captured forever by an artist's eye. We feel so incredibly lucky to have worked with Todd. In addition to his incredible ability to catch the perfect, priceless moment he is also a pleasure to work with. Todd has patience for the old and young and has unbridled energy to consider the opportunity of an expected situation. When the weather turned differently than forecast he found a way to make the clouds into the perfect background. December 2012 and April 2010 NYC Bat Miztahs at the Pierre Hotel Ballroom and Mandarin Oriental Hotel. Todd was worth every penny! Our wedding photographs are BEAUTIFUL & very unique. Yes, there are the obligatory, formal family shots but there are soooo many other incredible, candid moments he caught. He managed to be everywhere at once, catching all the fun moments (even on the dance floor), but without ever getting in the way. I have been to several weddings since, & was really disappointed for my friends & family about how poorly THEIR photographers stacked up against Todd. They were distracted, slow to react, & missed so many great shots. Quite frankly, I have seen no other photographer WORK as hard as this man did at my wedding, nor have I seen anyone produce as beautiful a product. We also were glad we chose NOT to have our wedding filmed. It would have been unnecessary as Todd captured every moment (even some that we didn't see) beautifully. Todd is amazing. He photographed my son's and daughter's weddings six months apart in New York. He was wonderful ,making the wedding days come to life. His work is outstanding. He is creative and professional. The most important people were in the pictures. We highly recommend him. Todd Shapera is the standard by which others should be measured. Todd gives very personal service - no factory approach. He is very prepared, ready for candid as well as planned shots. Kept good mental track of shots still needed. Wonderfully inventive. No cliche poses. NEVER interfered with the mood or happenings in getting his shots, and captured natural expressions. Excellent lighting. Caring, unruffled manner, which helped reduce normal jitters and tensions. Our wedding book is outstanding, and captures perfectly the joyous celebration (and outshines every other one we've seen). Over the past 10 years Todd has photographed the bar and bat mitzvahs of my three children. Todd brings a wealth of experience and sensitivity to all his projects. He was able to capture the special moments and create images that we treasure. He is professional and most courteous and I would highly recommend him for ANY type of event or project. Amy, February 2009, and two previous dating to 2005. Todd is an extremely gifted photographer who captures the essence of the subject matter he is photographing. As a person he is gracious and caring of his subjects. While taking photographs, he maintains a low profile but is able to put his subjects at ease. He has the flexibility to modify his approach to satisfy the needs of the situation and the wishes of the person who has engaged his services. 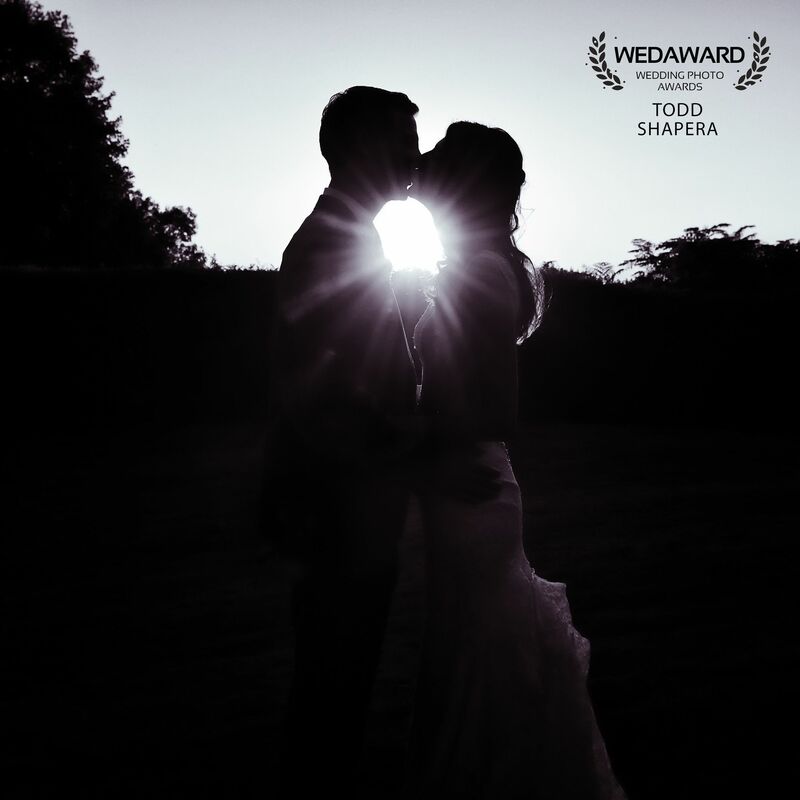 Todd Shapera is an award-winning creative photographer with an artistic eye. He captured the joy, spirit and beauty of our daughter's wedding with pictures that will provide a lifetime of loving memories. 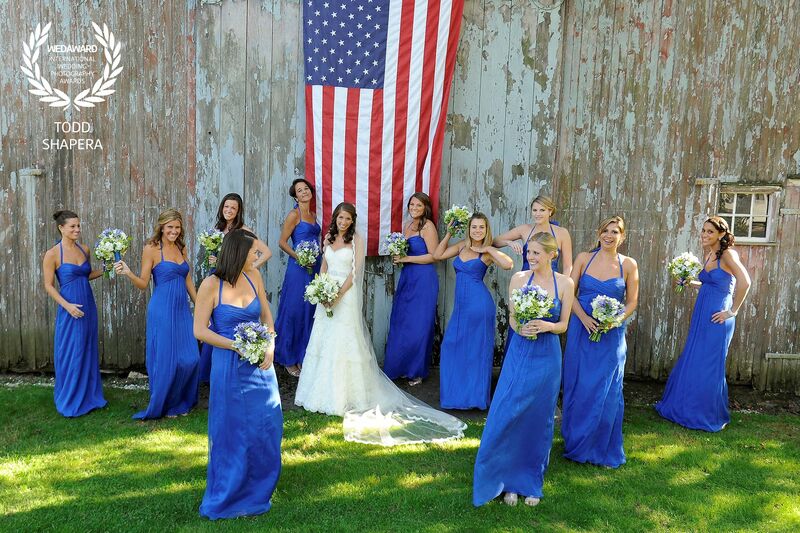 In addtion, Todd is a pleasure to work with -- something that every bride and groom will truly appreciate. We recommend him whole-heartedly.  Over the last 3 years, Todd did the photography for 2 Bar/Bat Mitzvahs and a number of other family events. He has also helped us produce beautiful books and family cards over the years. Todd is a true professional. In addition to his incredible artistry, he is always accessible -- communicating on an on-going basis about our expectations at the party and then promptly returning proofs, photos and books. He takes incredible pride in all of his work, and it shows in everything he does. My husband and I are so pleased with the truly stunning photos of our wedding. Todd took a perfect mix of posed and spontaneous pictures. He captured every moment and yet blended in so well that I don't actually recall being photographed. I highly recommend Todd Shapera. I cannot recommend a photographer more highly than Todd Shapera. When I hired Todd to photograph my son's Bar Mitzvah in 2009 (and again in 2011), I was drawn to him not simply due to the quality of his party work that he aptly presented to me in lovely albums. I was drawn to Todd based on the breathtaking and emotional prints that hung all over his house. These prints provided me with a picture of the type of man Todd is on the inside. He is warm, giving and truly interested in exploring and demonstrating beauty found in all of humanity throughout the world.